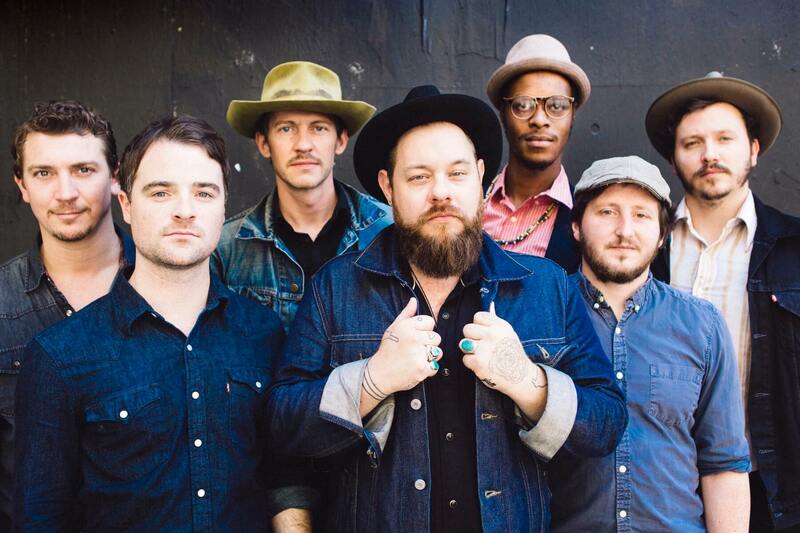 Nathaniel Rateliff & The Night Sweats cannot be pinned down to one genre. Folk-based indie, rock, blues, soul, R&B and gospel are what some have tried to define as this band’s genre. Sure, all of these are similar in sound, but Rateliff and his team are not a musical force to be compared against. If you are a listener of KIWR 89.7 The River you may have heard the band’s lead single, on their latest self-titled album, “S.O.B.” jamming its way through your speakers. The first time I heard the song I thought it was a Sunday afternoon during The River’s segment Mountain Stage, where they play music recorded before an audience. Sometimes the songs fall too far in the folk and country genre for my own taste. However, it was not a Sunday and yet this song was being played. The Cutting Edge of Rock, the radio station I have as a preset in the car to get my Breaking Benjamin, Nothing More, In This Moment, Metallica and Seether fix. But then I thought how diverse our rock station truly is and how I love when they play Twenty One Pilots, Mumford and Sons, Vance Joy, Halsey and Imagine Dragons. I turned the radio up and gave this song a chance. Immediately I wanted to start dancing and not in a traditionally modern way, more so in an uplifting, soulful, hands to the sky, “Hallelujah,” kind of way. After reading about the song, it seems this is what the band was going for, stepping away from their traditional sound to deliver this throwback soul tune. Rateliff’s lyrics are inventive and his voice the perfect combination between sweet and sultry. Add the instrumentals and it sounds like this band is having a grand old time. Listen for yourself at Sokol Auditorium on Dec. 9. Along with this diverse band will be Satchel Grande, Moth & The Flame and Brad Hoshaw & The Seven Deadlies.